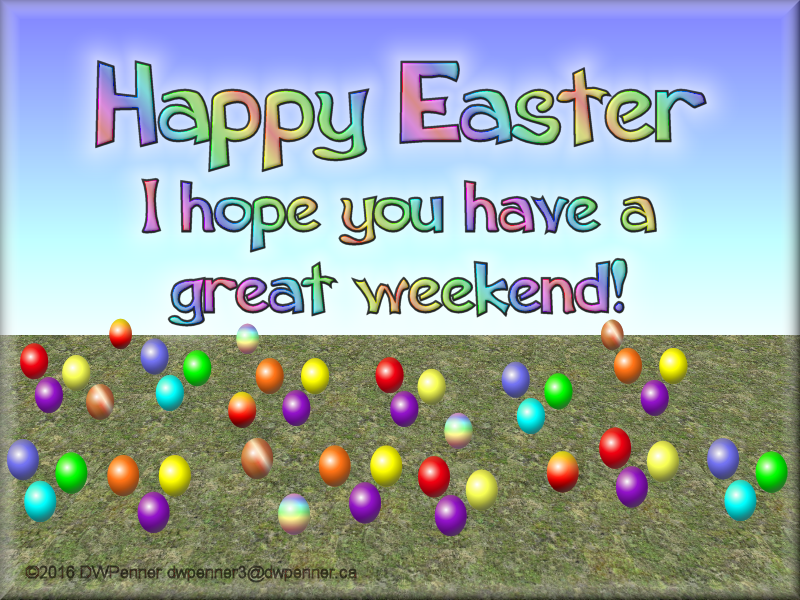 I hope you have the chance to make the Easter Holiday a great weekend for you and your family! No matter what your beliefs, for most of us there is a chance to make time for family. I think it is a time to celebrate rebirth, and to remember the sacrifices made for us. Of course it is Spring only here in the Northern Hemisphere and even then in the temperate zones. That makes it easier to see rebirth happening across the land. But one can look for it and celebrate it all over the World. This entry was posted in Holiday, Writer's Words and tagged 2016, beliefs, celebrate, Easter, family, Holiday, rebirth, sacrifice, spiritual, Spring by DWPenner. Bookmark the permalink.